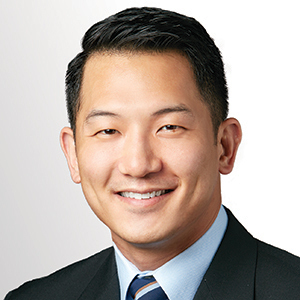 David S. Hong, MD is a graduate of the NYU School of Medicine and completed a neurosurgery residency in his home state of Michigan at the Detroit Medical Center, with additional fellowship training in pediatric neurosurgery at Rady Children’s Hospital in San Diego. He specializes in the treatment of pediatric patients with neurosurgical conditions, with additional specialty training in the treatment of pediatric spinal disorders. He currently serves as clinical assistant professor of neurosurgery at Stanford University and Stanford Children’s Health. In addition to his faculty appointment he works actively in global health. He is the first pediatric neurosurgeon to be working in North Korea, and works closely with the neurosurgeons at the Okryu Children’s Hospital in Pyongyang, actively developing their pediatric neurosurgical program. He works with the Korean American Medical Association and their Global Health Program to collaborate with the physicians in the DPRK to benefit the North Korean children and families through research and education.